Scale in design is so important. Get some tips for how to make sure you aren’t making one of the biggest decorating mistakes! I remember watching Alice in Wonderland as a kid and feeling a little claustrophobic on the scenes where the objects were either much bigger than Alice or so small that she became a giant. Whether or not I realized it at the time, that is a great lesson in SCALE. Scale in design is an important aspect to consider… so I thought we could dive into a little today! Don’t let the word “scale” scare you. It just refers to visual size—how things look next to each other and how they fit in a room. Rooms need a variety of different sizes- large, medium and small. If everything is the same size, nothing will stand out. So it’s important to vary the scale within a room to create interest and drama. Variation in scale throughout a room is important. But, drastic differences in scale can look awkward. For instance, a large lamp on a small table or one small piece of artwork above a large sofa makes the room feel unbalanced. Make sure pieces of furniture are scaled for their function. For instance, a sofa provides seating for several people, so the coffee table should be large enough to be reached by everyone sitting on it. Proportion and scale go hand-in-hand, so consider proportion when adding architectural elements, such as board and batten, to a room. Furniture weighs down the bottom half of this room, so carrying the wainscoting two-thirds up the wall lifts the eye. Pieces of furniture don’t have to be an exact match…and I would strongly suggest that they not match perfectly. The trick to using different pieces and creating some type of symmetry in the room is scale. As long as the pieces are similar in size, the mixing should work. I have found it best to start with the largest piece of furniture in a room, then add pieces that fit. A table and lamp may be proportionate to each other, but when placed next to a bed or sofa, they may still look too large or too small. Use low-profile furniture in a room with low ceilings and group furniture with visual balance. In a room with high ceilings, go taller with shelving or even a hutch. 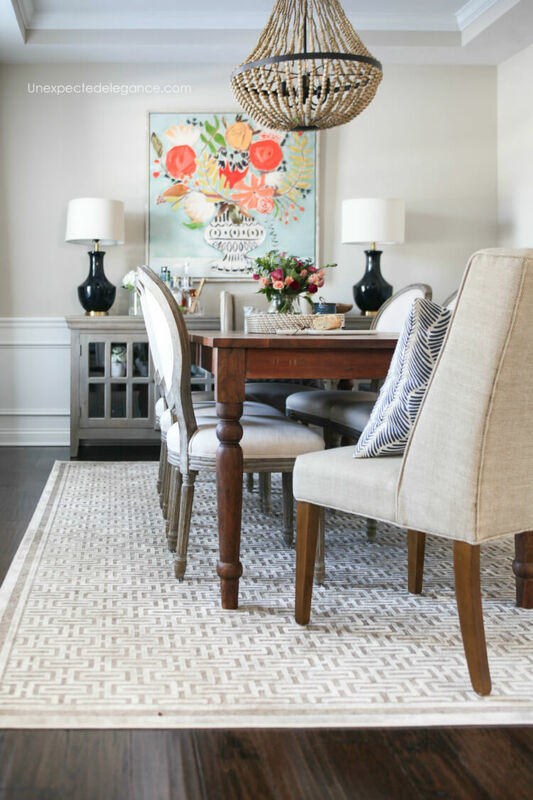 For a dining room, allow enough room for chairs to push back by placing the dining table at least 36 inches from a wall. In smaller dining rooms and living areas, choose a chair style that does not impede visual flow, such as an open- or low-back design. 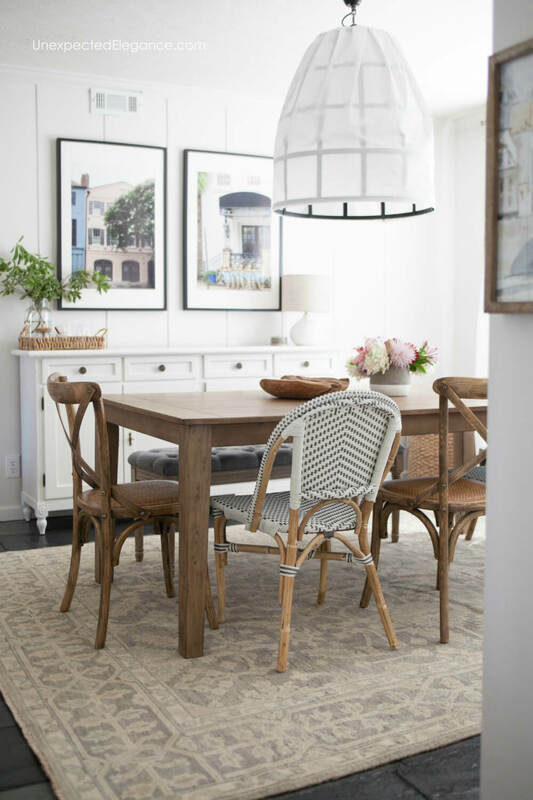 For a large dining room, upholstered chairs with high backs will fill the room comfortably. For a conversation setting, pair two chairs at a height that is similar to the height of other seating areas in the room. If the back of a sofa will face outward toward the entrance of a room, select a sofa back that has a low profile rather than a tall back that will block the view of the room. 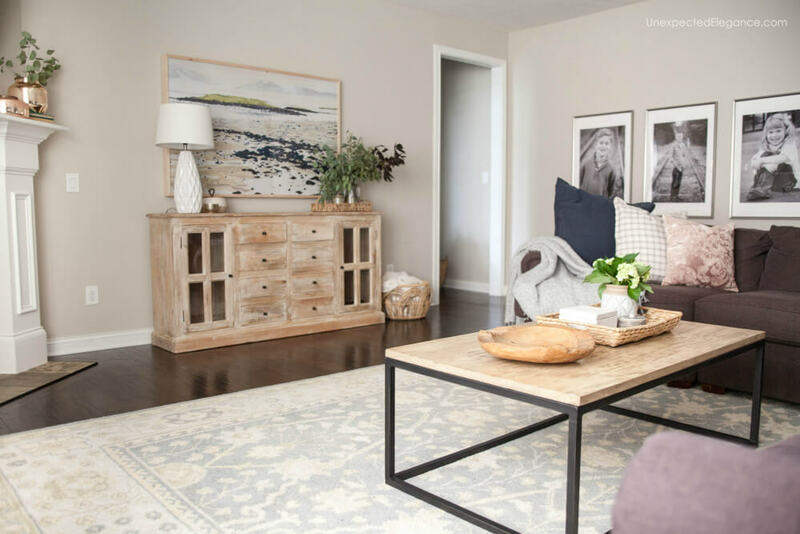 Think of the room as having a horizon line and make sure the furniture falls within that line of sight, rather than randomly varying heights that do not relate to each other. The scale/sizes of an art grouping can vary as long as the variety has a purpose. Different size photos and frames create a unified arrangement as long as they have similarities. Examples would be: all black-and-white photography, the same colored frames, or repeated color mattes. Use scale to balance the room. High ceilings and tall windows require at least one other tall object in the room to achieve balance, preferably across from each other. Things like tall shelves or artwork can be great to achieve this effect. You can also use height to expand the feel of a small space. For instance, in a small bedroom, curtains hung at ceiling height and a tall headboard that stretches up the wall use vertical scale to grow the feel of the room’s size. 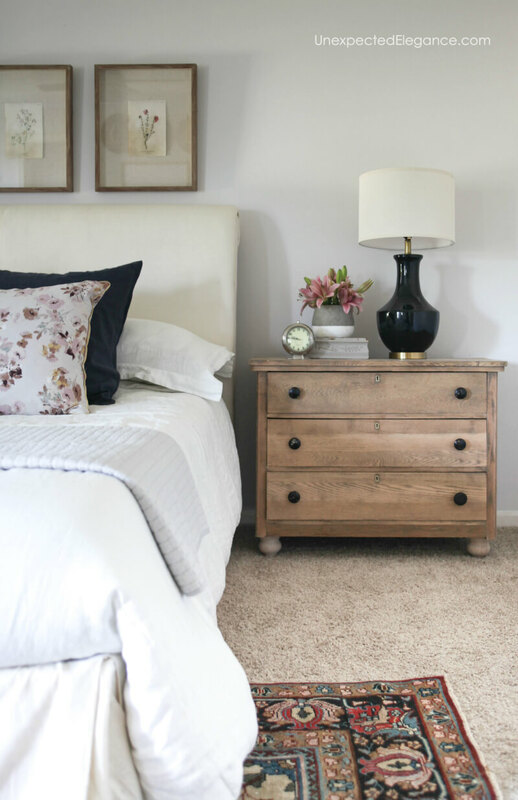 If you’d like more tips for designing a room, check out: How to Budget for a Room Makeover. I never realised how important the size of decor items were until now.